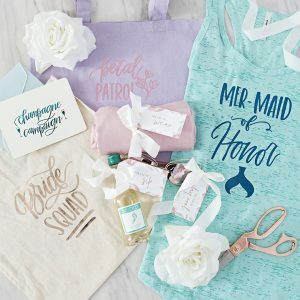 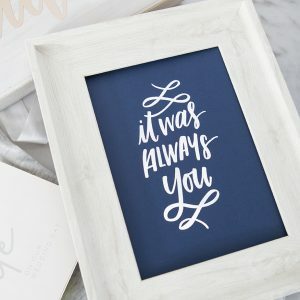 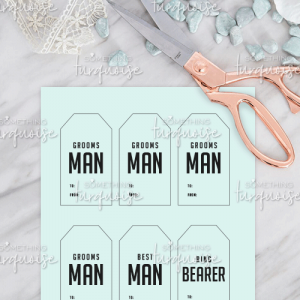 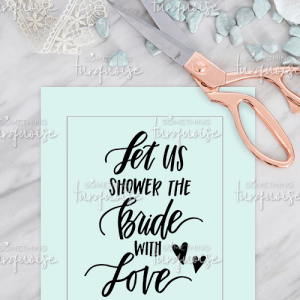 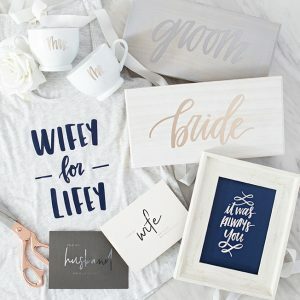 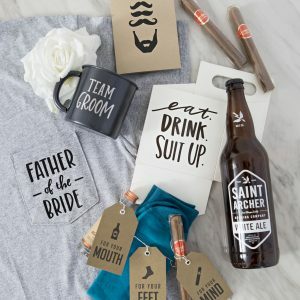 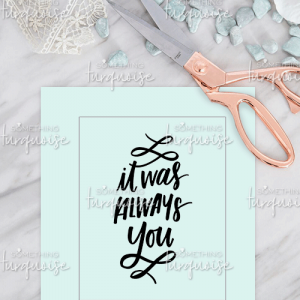 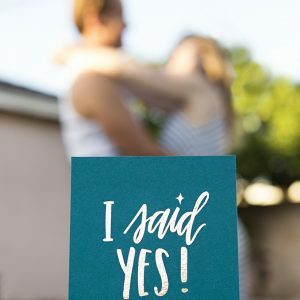 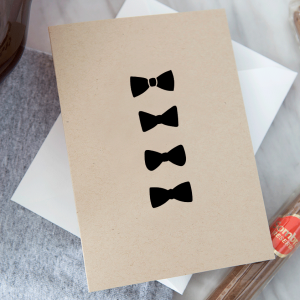 Make these adorable tags for useful and darling bachelorette favors! 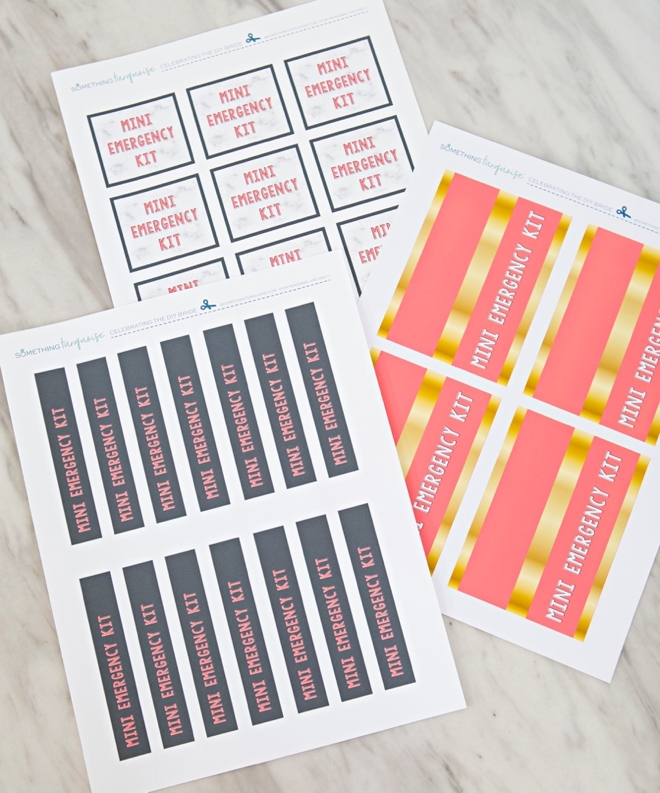 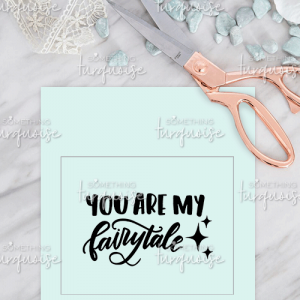 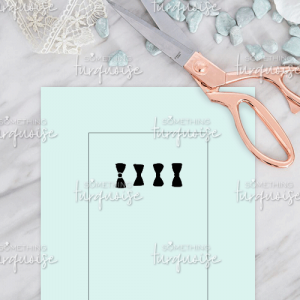 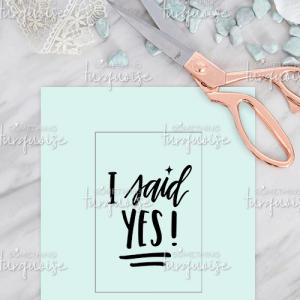 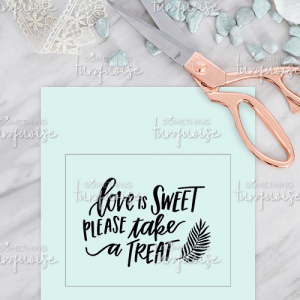 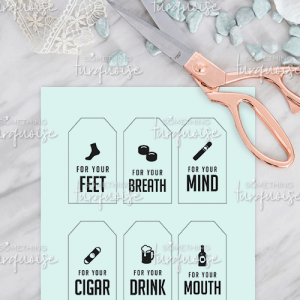 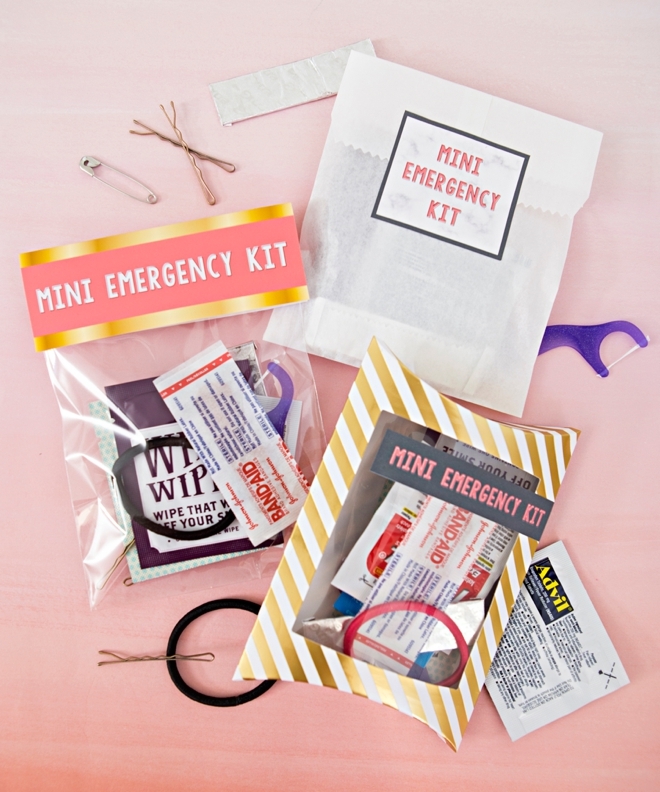 Mini-Emergency Kit Tags: Print onto your choice of white cardstock or white sticker paper, then trim out each tag using scissors or a paper trimmer. 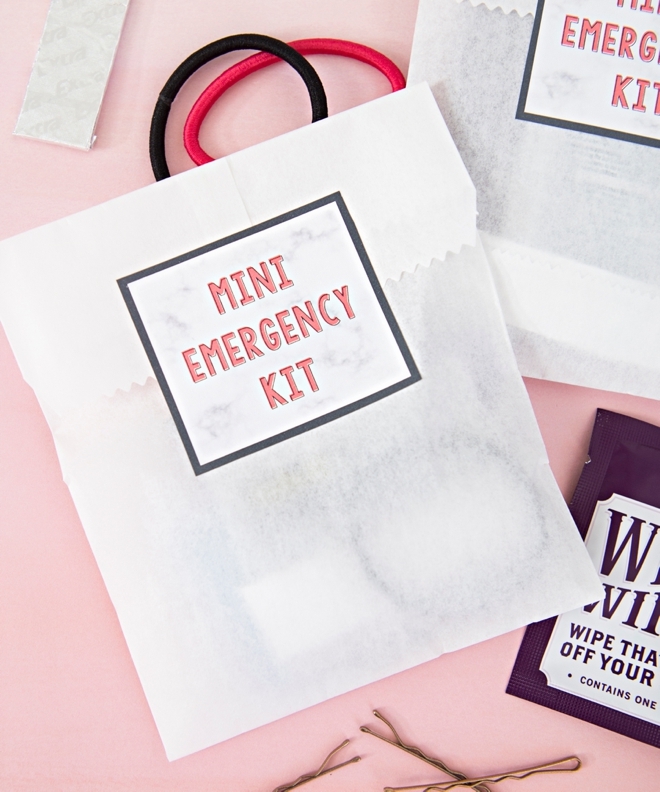 There are three tag designs to fit different types of bags/boxes. 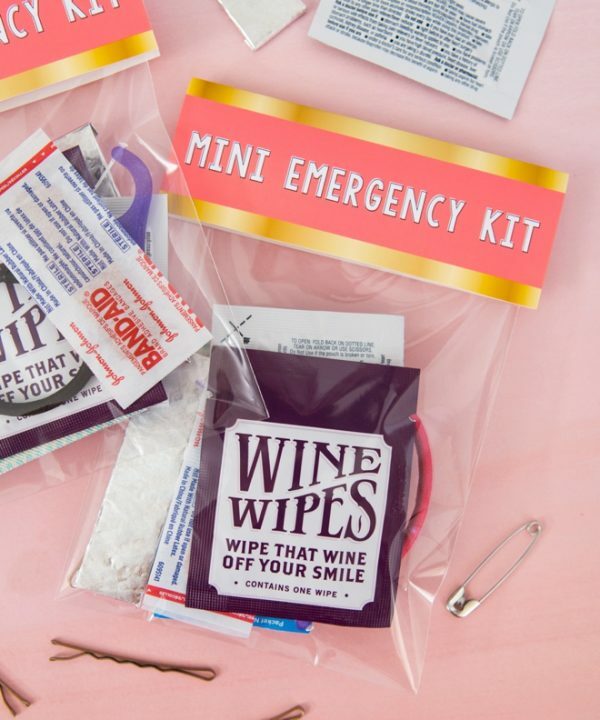 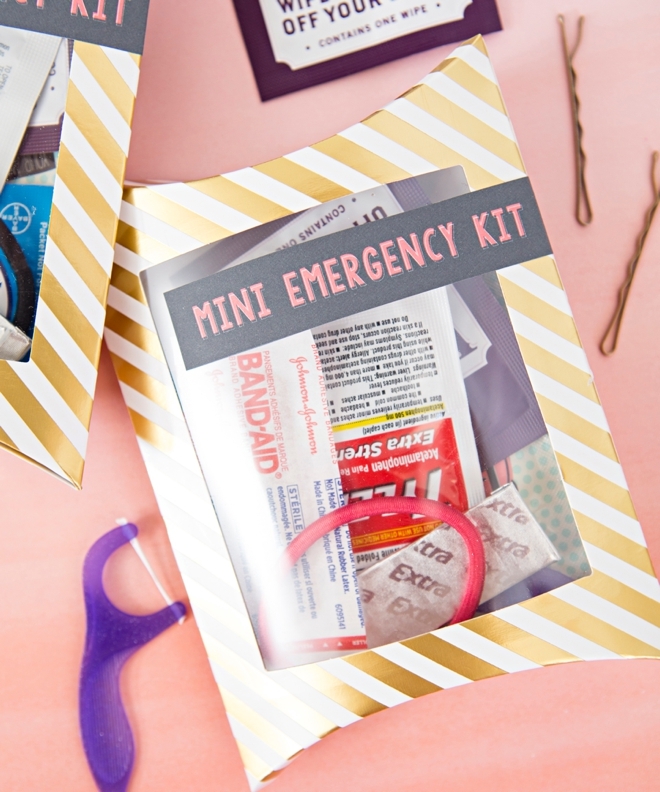 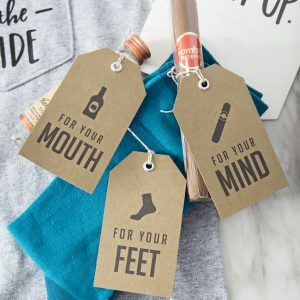 Fill favor bags with fun little emergency items like: band-aids, bobby pins, gum, wine wipes, painkillers, hair ties, antacids, bling wipes, etc!